"We're going to start practicing waking up like normal people." Oscilloscope Labs has released an official trailer for an indie drama titled Sollers Point, the latest film from indie director Matthew Porterfield (Putty Hill, I Used to Be Darker). The film stars McCaul Lombardi as a 24-year-old kid fresh from prison, now living with his father under house arrest in Baltimore, Maryland. He's struggling to find his place again and trying to stay away from old habits that will get him into new trouble. The cast includes Zazie Beetz, Tom Guiry, Everleigh Brenner, and Jim Belushi as his father Carol. This looks like a damn fine film, with a great lead performance from this newcomer - those eyes, McCaul! And the way this trailer opens is fantastic - it's such a powerful, convincing scene to start with right away. This is very much worth a watch. Sollers Point tells the story of Keith (Lombardi), a twenty-four-year-old newly released from prison and living with his father (Belushi) under house arrest in Baltimore. Keith is struggling to reestablish himself, and break free of the bonds forged behind bars, within a community scarred by unemployment, neglect, and deeply entrenched segregation. His intentions are in the right place and he possesses an aggressive desire to get back on his feet, but as he taps into all his familiar resources, he finds that he may be reverting to his old ways. 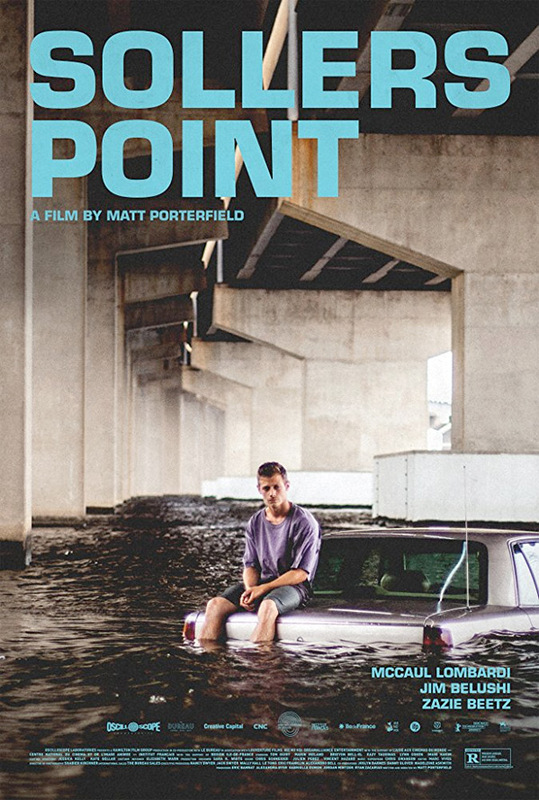 Sollers Point is directed by American filmmaker Matthew Porterfield, of the films Putty Hill and I Used to Be Darker previously. The screenplay is by Matthew Porterfield, from a story by Amy Belk and Porterfield. This premiered at the San Sebastián, Chicago, and Vienna Film Festivals last year. Oscilloscope will open Porterfield's Sollers Point in select theaters starting on May 11th next month.